Every now and again I get a fancy for vegetables and lots of them! 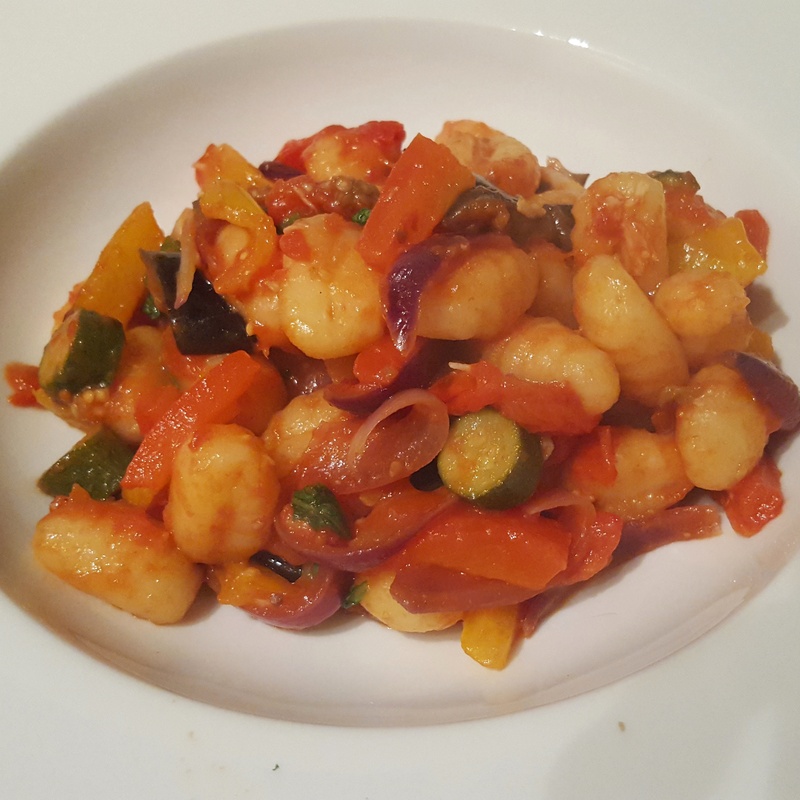 This roasted vegetable sauce is perfect for ensuring your family get their five a day and is great with gnocchi and pasta or even with cous cous. I chose to use baby courgettes and baby aubergine alongside pepper and onion to give vibrant colour and a balance between sweet and savoury. Feta was made to be paired with such flavours so a liberal sprinkling of this over your finished dish really lifts the flavours. The sauce should be chunky with a light tomato coating- I used Cirio Tuscan chopped tomatoes which have the perfect ratio of sauce to tomato chunks. You can find them at http://www.cirio1856.co.uk. 1.Preheat the oven to 180c/ 160 fan ready for the veggies. 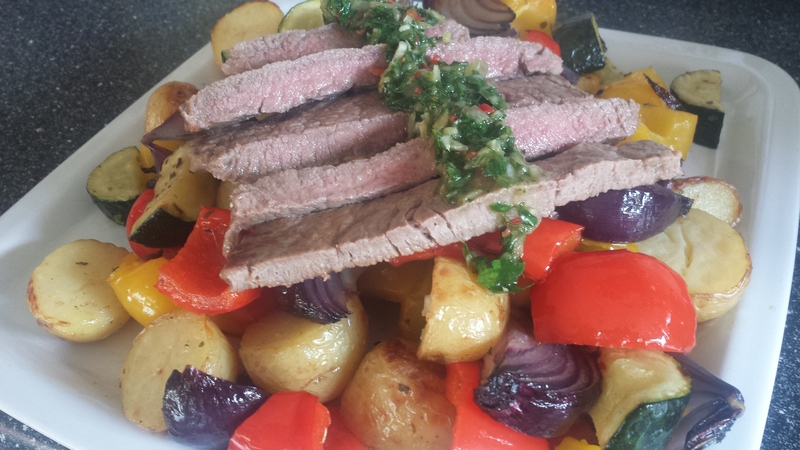 Take a large roasting tin and place all the chopped vegetables into it including the whole garlic cloves. Drizzle with a good amount of olive oil and season. I used smoked sea salt which is fabulous with roasted vegetables. Roast for around 15 minutes until everything is tender- test with a knife, if it goes into the vegetables easily then it’s ready! 2. Take a large frying pan and add a small glug of oil over a medium heat. Rescue the garlic cloves from the vegetable tray and squeeze out the tender and wonderfully fragrant garlic. I then fried off the garlic with a touch of chilli flakes (or as much as you dare!) for a minute or two before scattering the vegetables into the pan. The chilli should enhance the flavours rather than drowning them out. Pour in the tinned tomatoes and cook for around 10 minutes on a simmer so the tomato brings the sauce together and the flavours develop even more. Finish with a liberal sprinkling of freshly torn basil leaves and away you go! Serve with gnocchi or pasta and feta over the top if you like. Mozzarella would also be delicious. Any leftovers can be easily reheated or blitzed into a smooth sauce or soup for the freezer. 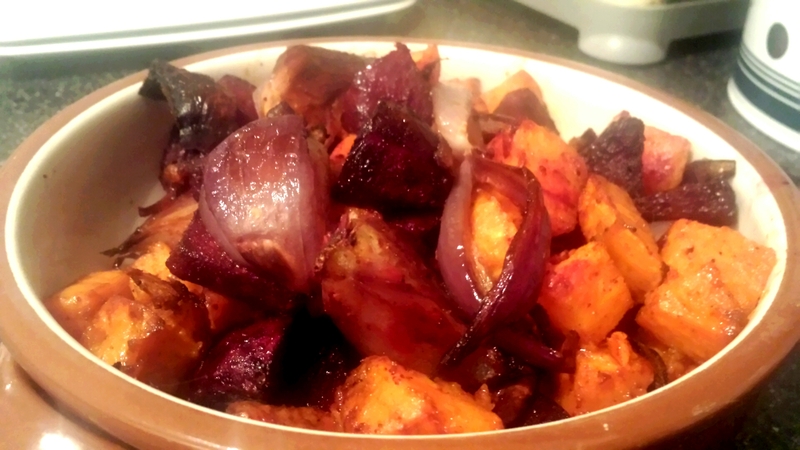 Chunky roasted vegetable sauce- get your five a day in the most effortless way!